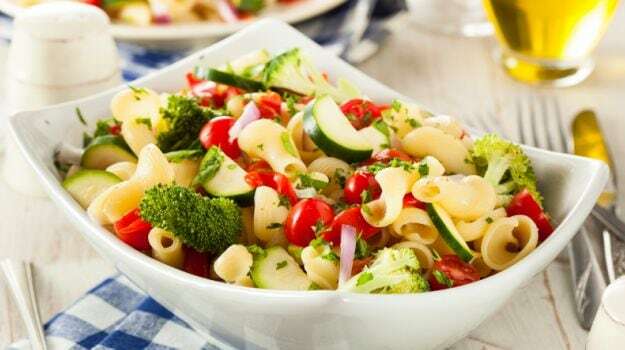 Pasta Salad Recipes- Summer is almost here, and it's that time of the year to ditch those rich curries and heavy meals to make way for light and simple dishes. But does that mean giving up on delicious treats or compromising on taste? Not at all! Yes, you heard it right. 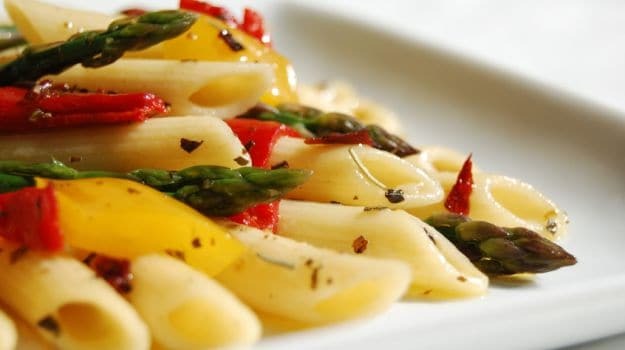 Light meals can actually be immensely satisfying when a variety of veggies, fruits, herbs, nuts, sauces, meats and other flavouring agents are put together to create smashing recipes. We guarantee that you will not miss those calorie high dishes once you master the tricks of dishing out light meals in minutes. That one ingredient which works best when it comes to tossing up summer meals at home is pasta. There is no dearth to the variety of pastas that is available on the supermarket shelves. 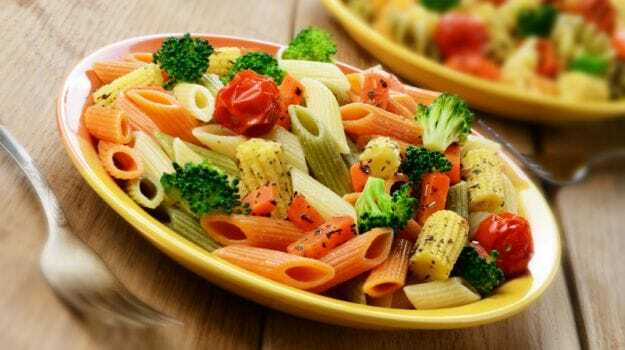 Penne, macaroni, spaghetti, fusilli, tagliatelle, farfalle – you name it. 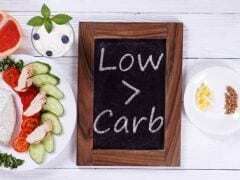 In fact, you can toss them with a variety of vegetables and meats to make interesting salads everyday! It is all about playing around with different ingredients and having some fun in the kitchen. In terms of the dressing too, you can whip up quick ones like vinaigrettes, and top off with different cheese. Then use fresh herbs like basil, parsley, mint and coriander to add some zing to the flavours. And for some crunch, toss in walnuts, pine nuts, cashews and even nutrition packed seeds like sunflower, chia, melon, etc. For the sweet lovers, how about adding in some prunes and other dehydrated fruits? 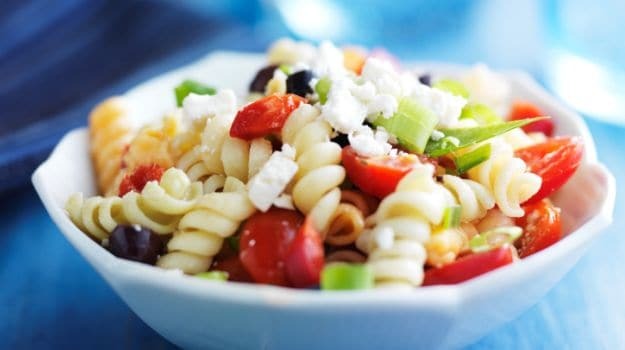 A simple yet satisfying recipe with the goodness of black olives and cherry tomatoes, tossed up with fusilli and feta, and dressed in balsamic vinaigrette. Tossed in the healthy ingredients of fusilli and dressed in olive oil and balsamic vinegar, this pasta salad is a treat to relish. 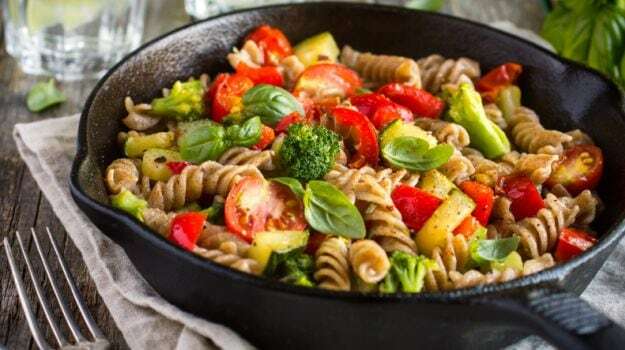 An interesting and refreshing, Chicken Pasta Salad recipe where fusilli, broccoli, cherry tomatoes and sweet corn are tossed together and drizzled with a honey-soy dressing. An interesting and refreshing, Chicken Pasta Salad recipe. It can't get simpler than this! Penne tossed with black olives, fresh parsley and Parmesan, for a super quick mid-week lunch. 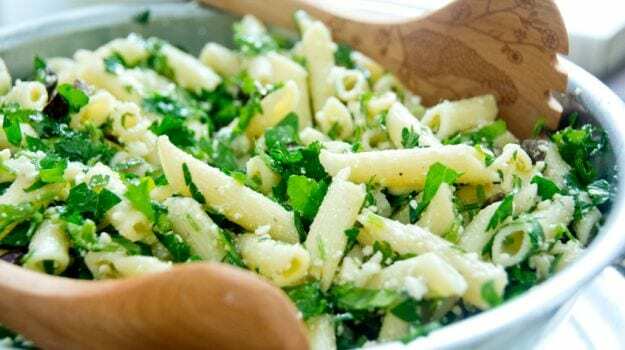 A refreshing mix of parsley, Parmesan, walnuts with a bit of orange juice. 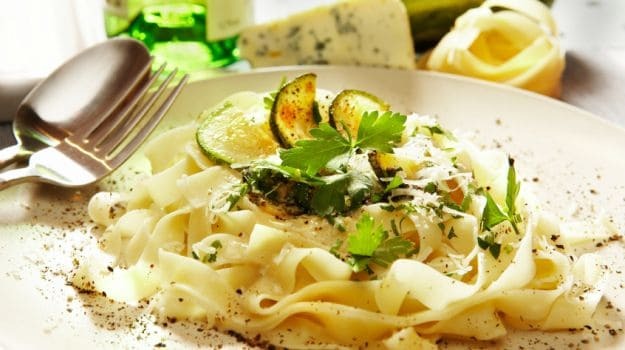 Smooth pasta ribbons smothered in a rich and creamy white sauce. Finish with a sprinkling of freshly crushed pepper. A classic white sauce pasta. 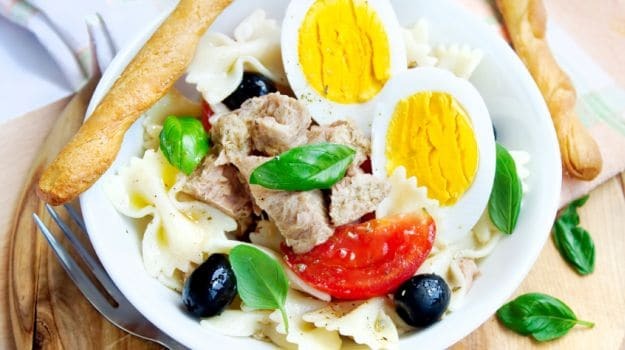 A refreshing salad with tuna, boiled eggs and pasta, served cold with a light dressing. Cold Tuna Salad is an absolutely delicious as well as healthy meal to have for lunch or dinner. This incredibly easy pasta salad recipe will get you hooked. Tip in some fresh herbs like parsley and basil for some added flavour, or a dollop of cream for some indulgence. A melange of nutritious veggies, pasta and parmesan. A warm pasta salad dressed in a delectable potatoes and asparagus sauce and topped with chicken ham, eggs and cheese. A simple, speedy and satisfying meal! 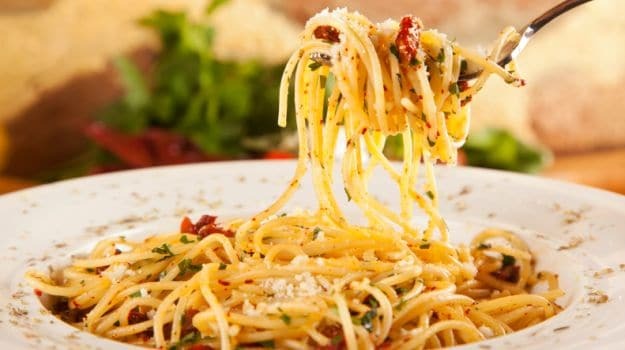 A delicious pasta packed with health and taste. 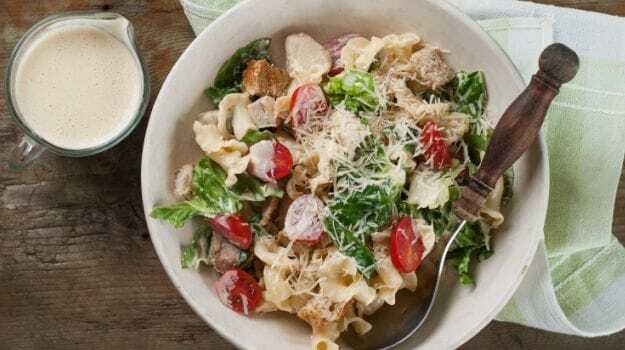 The all-time favourite Caesar Salad gets more wholesome with penne pasta being tossed it. It makes for a quick and easy lunch meal. Top it with Parmesan and enjoy. A creamy, cheesy and absolutely delectable pasta salad, full of chicken that you just can't resist. This is an immensely satisfying pasta salad with farfalle, cheese and a tangy dressing. Top it with fresh herbs and bread croutons and you have a winner! A tasty, tangy dressing is enough to please the whole crowd. A whole wheat spaghetti salad with chicken chunks and vegetables. Tempered with a mustard seed and curry leaf tadka for that Indian punch. 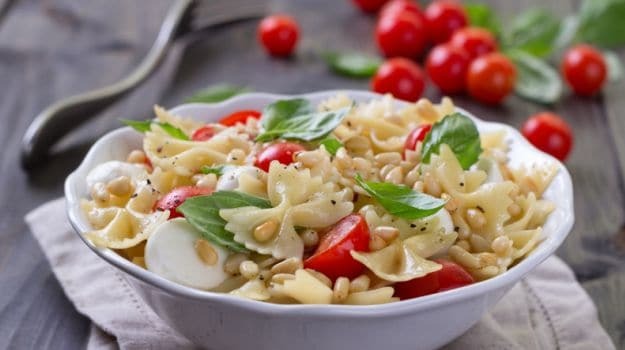 Dressed in the classic Indian tadka, this pasta salad is a real crowd pleaser!